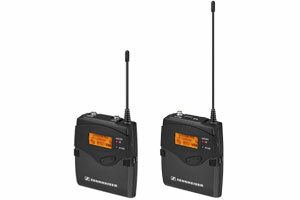 The Sennheiser 2000ENG-SK is a 2000 Series wireless system kit that includes a bodypack transmitter and portable receiver. Most users do not need a license to operate this wireless microphone system. Nevertheless, operating this microphone system without a license is subject to certain restrictions: the system may not cause harmful interference; it must operate at a low power level (not in excess of 50 milliwatts); and it has no protection from interference received from any other device.The authorized frequencies are 174 a 223 MHz and 470 a 790 MHz.